Belle is definitely my favourite Disney princess since we are both bookworms and dreamers — I can still vividly remember the details of most of the scenes in the movie. I was both skeptical and excited to see how the musical would live up to the animated original in 1991. We had complimentary tickets, courtesy of Base Entertainment Asia. Hilary Maiberger was stellar as Belle, commanding terrific vocals displayed during the songs, “A Change in Me” and “Home”. Her portrayal was perfect as the good-hearted, kind Belle who helps the Beast alter his character to be a gentler person. 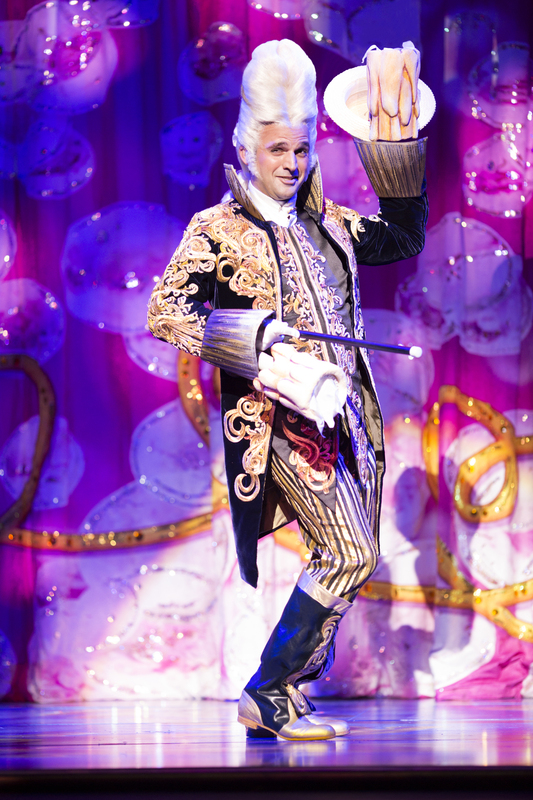 The audience and I unanimously loved Lumiere (the candlestick holder), who was punny, witty and genuinely welcoming. I also rather liked Cogsworth (played by James May) as the by-the-book butler who is turned into a mantle clock — his little jig at the end when he turned human again was hilarious, a far cry from his stick-in-the-mud persona. Mrs Potts (Emily Matherson) sang “Tale as Old as Time” wonderfully and the voice of Chip was spot on. The sets and staging was well done, bringing the bustling town to life, while the exterior of Belle’s house was exactly like that of the movie. 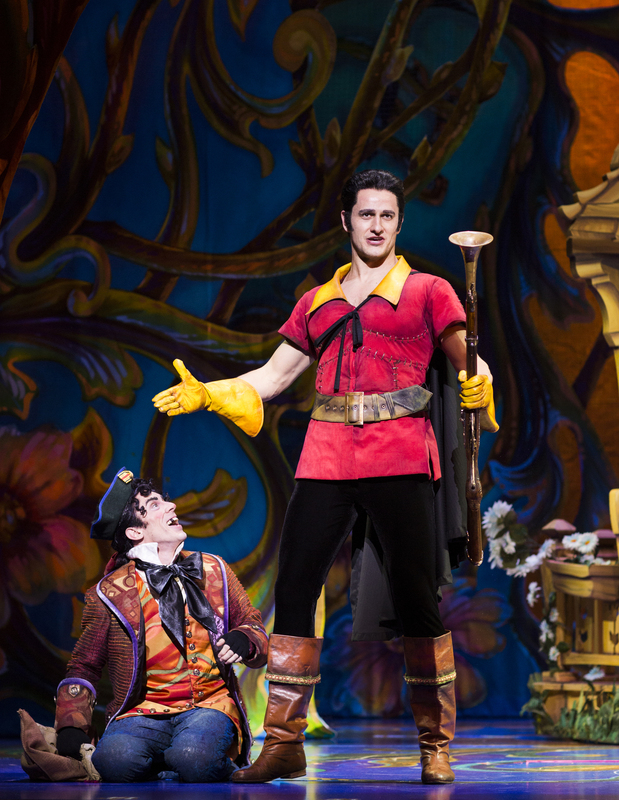 Adam Dietlein was awesome as the highly egotistical and vain Gaston. Our favourite scenes were “Be Our Guest”, which felt like a welcoming feast of epic proportions. 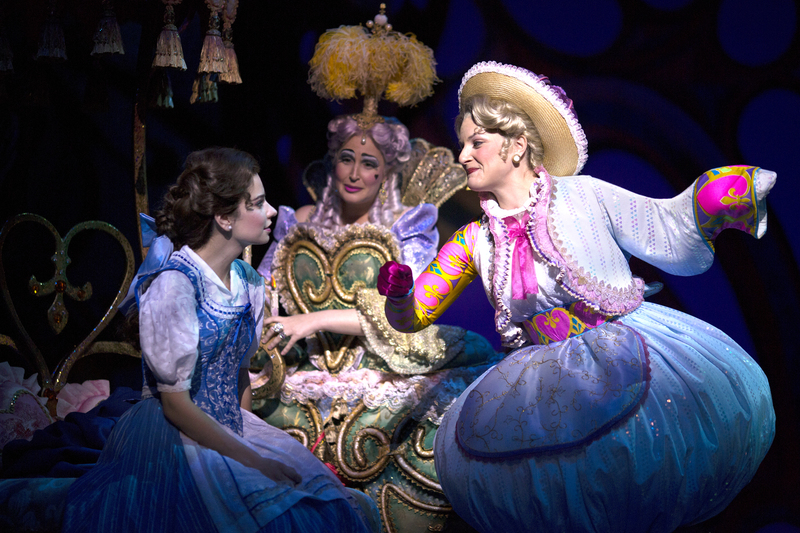 All the dancers were excellent, although Belle didn’t seem surprised by all the wonders taking place in front of her. Despite Gaston’s arrogant nature, the eponymous song that celebrates his glory was another highlight, especially the perfectly synchronised clinking of the mugs that led to some metallic percussion accompaniment. 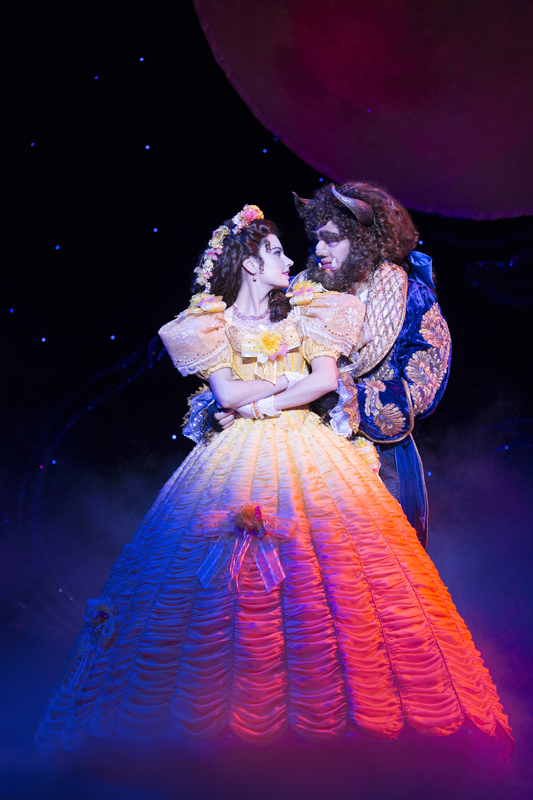 The Beast’s character was more relatable in the musical, although I still preferred the animated version – he was more wilful and spoilt, although to humorous effect. I was only able to get behind his character when he sang “If I Can’t Love Her”. It would have been amazing if the set designers had managed to present a floor-to-ceiling library, something like the iconic staircase where Belle and Beast descend from opposite sides and then meet in the middle. We would have loved seeing Belle in the classic off-shoulder ball gown in the animated film. However, it was still a pretty good attempt at bringing the animated film to life though, and we’d recommend a viewing. 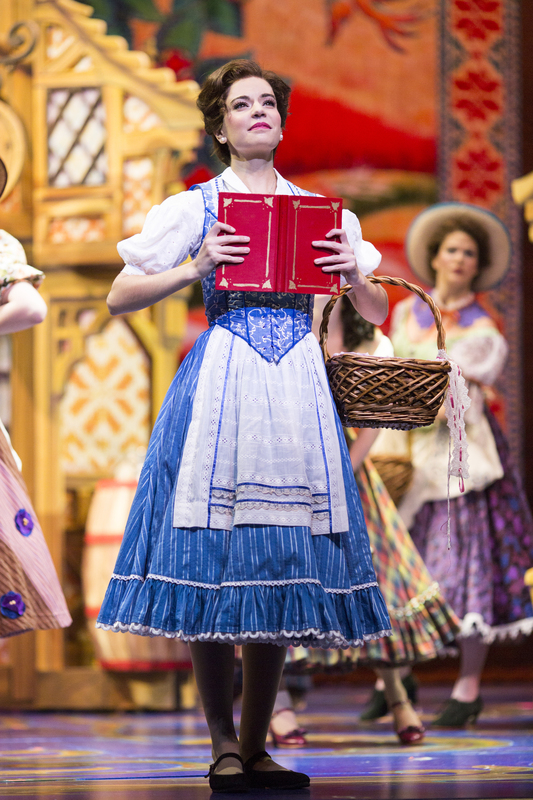 The musical is on from now till 3 May 2015. 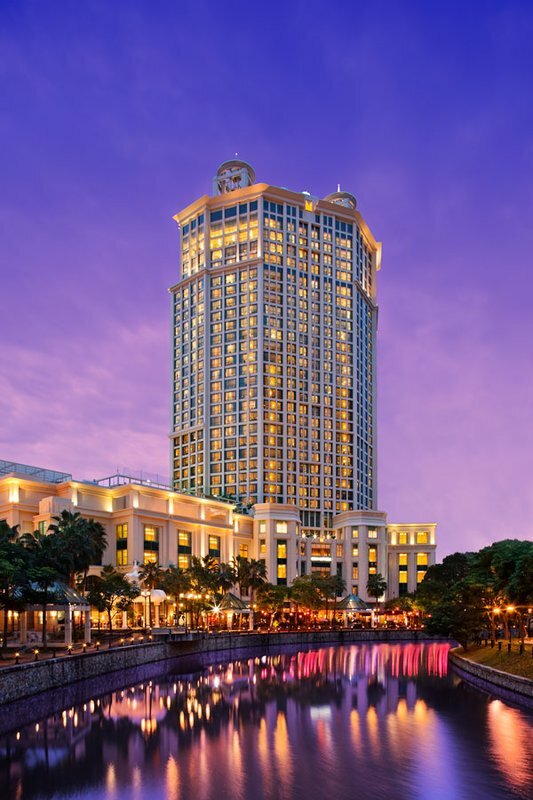 Tickets can be bought from Sistic or Marina Bay Sands.